I was born in Germany while my father was studying and working there between 1954 to 1966. My older sister was also born in Germany. 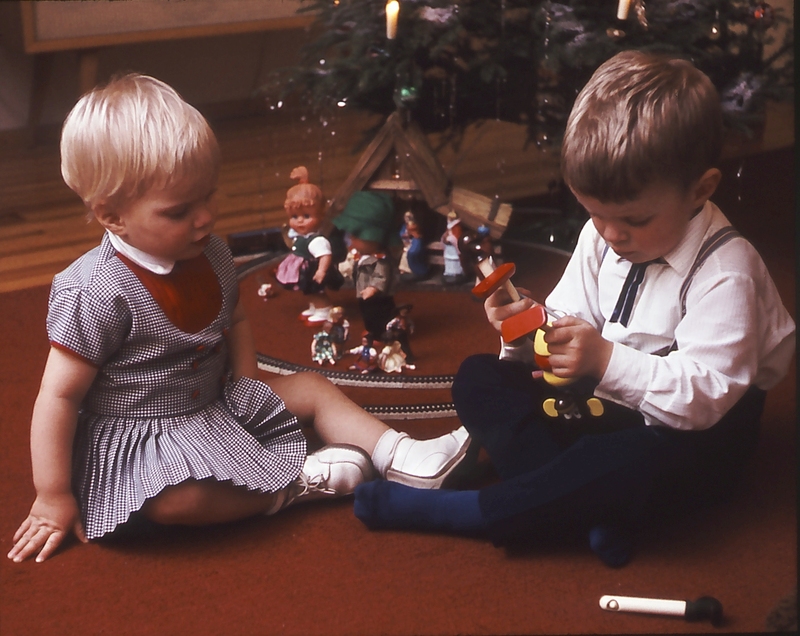 Probably in December 1964 my father recorded me and my sister singing the traditional song “O Tannenbaum”. My mother’s voice is there also while she helps us through the text. Later one I sing a short solo in my “southern German” I have completely lost today. Hér er á ferðinni upptaka sem fannst eftir að faðir minn dó. Er þetta upptaka frá Þýskalandi þar sem fjölskyldan bjó meira og minna árin 1954-1966. Um tíma fékk faðir minn að láni upptökutæki sem hann notaði til að senda fréttir heim til Íslands. Það má því segja að hér sé Skype fortíðar á ferðinni en þá var óskaplega dýrt að hringja á milli landa. Það var því oftar en ekki gripið til þess ráðs að senda hljóðupptökur í pósti á milli landa. Mikið af þessum upptökum hafa glatast en hér er smá bútur líklega frá því í desember 1964 fremur en 1965. Textinn við þetta lag var saminn af Ernst Anschütz, 1824. Lagið er gamalt þjóðlag. Recorder: unknown open reel deck. Nothing could be further from the heady drama of his opera „Faust“ than Gounod‘s cheerful, melodious „Little Symphony for Wind“. Its infectious nonchalance and easy gracefulness has made it a favorite with amateur as well as professional wind players. Though it was written when the composer was 70 years old and has the formal structure of a classical symphony, ever one of its four movements breathes youthful gaiety and Gallic charm. The second movement, Adagio, is a lyrical, finely sustained melody, mainly for flute. 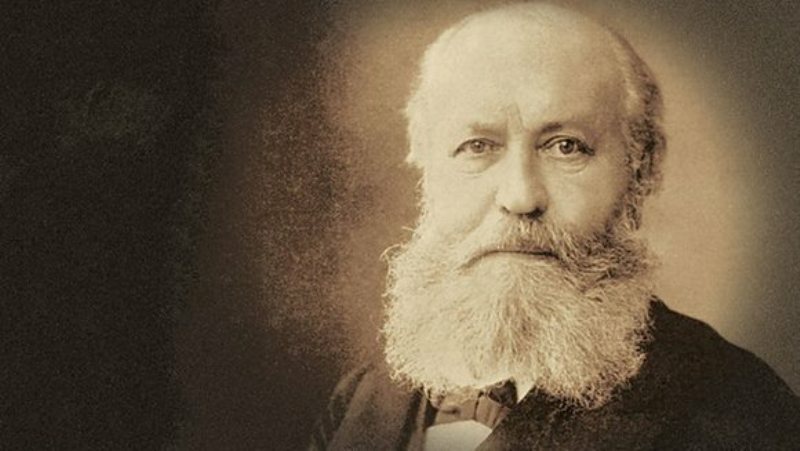 The final Scherzo, with its bright, staccato, syncopated theme, is remarkably „modern“ for its time, and shows that Gounod was keeping a weather eye on his younger contemporaries*. This recording was made the 23rd of November 2013 with members of Iceland Amateur Symphony Orchestra in Seltjarnarnes church. Keep in mind that the orchestra comprises mostly those who earn their living in occupations other than music so this is a perfect performance. This is a binaural recording with Sennheiser MKH8020 mounted into foam dummy head. The sound is rather harsh in some mid range frequencies and the reverb may have been better and lasted longer. This might be repaired in post, but I am not interested in such thing. Good recording is more important. I think this poor sound is mainly because the design of the hall (church). Also is the microphone placement difficult to change during the concert. But anyway this stereo recording is a nice example of binaural recording. Normally, headphone is required while listening, but in this recording the instruments in the performance are dancing nicely between the channels so it is nice to listen in both headphones and speakers. Hér er upptaka frá tónleikum Sinfóníusveitar áhugamanna í Seltjarnarneskirkju frá því 23. nóvember 2013. Er þetta lítil sinfónía eftir Charles Gounod sem hann samdi sjötugur að aldri árið 1885 fyrir níu blásturshljóðfæri.. Var það félagi hans og flautuleikarinn Poul Taffanel sem pantaði verkið sem sver sig í ætt við blásaraserenöður Mozarts. Upptakan er gerð með svoköllaðu “binaural tækni” sem gengur út á að staðsetja hljóðnema í kúlu eða bolta sem líkist mannshöfði. Þannig má oft ná mjög skemmtilegum umhverfishljóðritunum sem oftar en ekki er best að hlusta á í góðum heyrnartólum. Flutingur blásara á tónverkinu er afbragðs góður, en upptakan hefði alveg mátt vera betri. Miðjan er yfirmótuð á einhverjum tíðnum sem gerir hljóminn svolítið harðan á köflum. Gera má ráð fyrir að það reiknist að stærstum hluta til á eigin tíðni salarins. Þá hefði mátt vera meira eftirhljómur frá salnum. Þarna skiptir bæði salurinn og staðsetning hljóðnemanna miklu máli. En því miður er ekki hægt að finna bestu staðsetninguna á meðan á tónleikum stendur. Það getur því oftar en ekki varið hrein heppni að ná góðum upptökum með einfaldri steriotækni. Hljóðfæraleikarar gáfu leyfi fyrir vefvæðingu hljóðritsins.